Future plans will emphasize ecommerce, with physical stores in up five states. 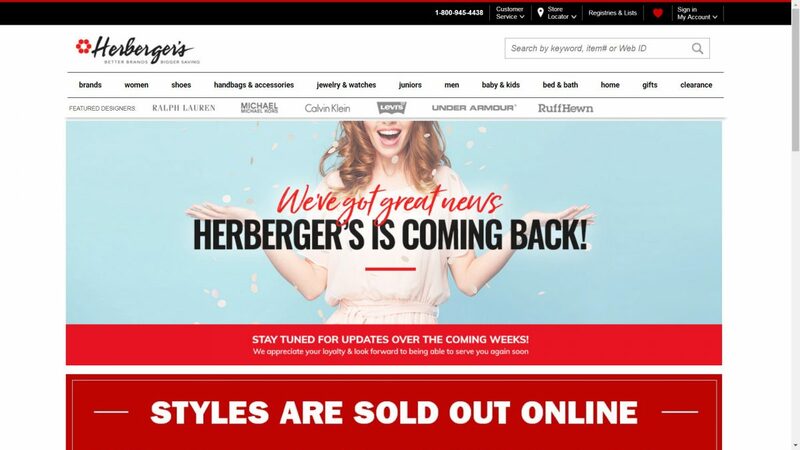 You may have seen or heard about the mysterious message recently posted on the website of Herberger’s, and other Bon-Ton brands, touting the “great news” that “Herberger’s is coming back!” Now, there are details coming forth in the plans to reboot the long-time retailer. CSC Generation Holdings – a tech company – announced a deal to acquire the assets of Bon-Ton Stores, Inc. and its subsidiaries – including Herbergers, USA Today reports. If approved by the bankruptcy court, the company plans to re-establish retail operations of the defunct retailer, with a particular emphasis on e-commerce. CSC Generation is also negotiating lease agreements to re-open physical stores in five states. Unfortunately, North Dakota is not among them. Colorado, Illinois, Indiana, Wisconsin and Pennsylvania are cited as locations of the re-invented retailer. The Kirkwood Mall Herberger’s closed in August as part of a nationwide liquidation. Its parent, Bon-Ton, hadn’t earned a profit since 2010 and filed for bankruptcy earlier this year after missing a $14 million interest payment. Spirit Halloween will temporarily occupy the former Herberger’s space.